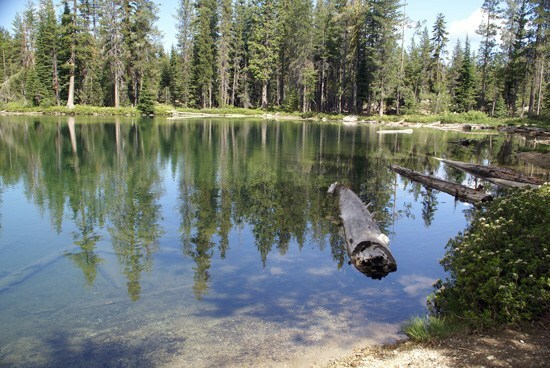 Seven Lakes Basin in the Trinity Divide Mountains west of Mount Shasta is easily reached by the Pacific Crest Trail, and it’s one of Northern California’s hidden treasures. It holds Upper Seven Lake, Lower Seven Lake, and several smaller lakes, with swimming the best in Upper Seven Lake. On the way to Seven Lakes Basin, you’ll be treated to vistas of the Trinity Alps and Mount Shasta. It takes a bit of easy cross-country hiking to explore all of Seven Lakes Basin, as the main trail becomes very difficult to follow beyond Upper Seven Lake. If you want to wander the entire basin, be sure you have good topo maps and are adept at finding your way in the wilderness. 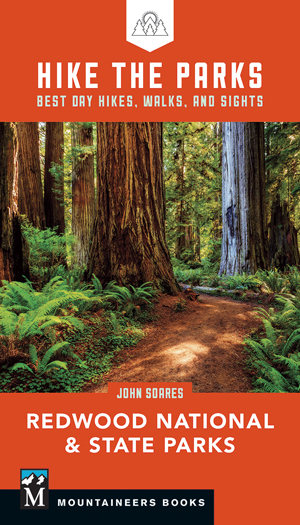 The Seven Lakes Basin journey is Hike 50 from 100 Classic Hikes: Northern California, fourth edition. 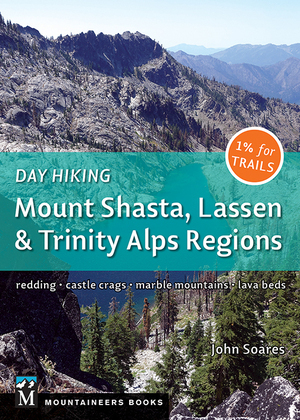 I discuss the same route in Hike 56 of Day Hiking: Mount Shasta, Lassen & Trinity Alps Regions. 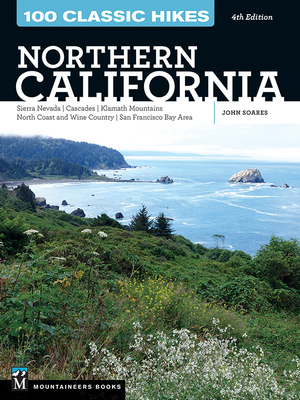 Here’s the description of the Seven Lakes Basin from 100 Classic Hikes: Northern California, fourth edition. 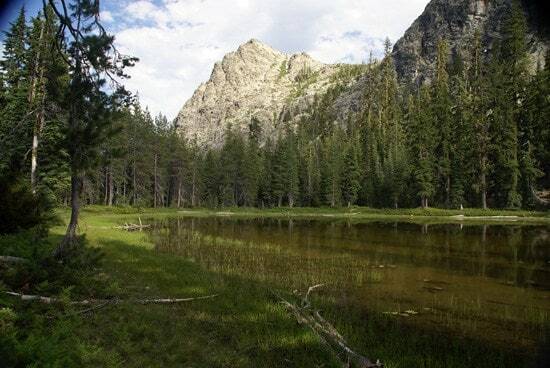 This hike gives you the best of the Klamath Mountains with little effort. You’ll have 360-degree panoramas of far Northern California mountains, cool and clear mountain lakes to dip into, a varied palette of wildflowers, and several excellent campsites if you decide to backpack. 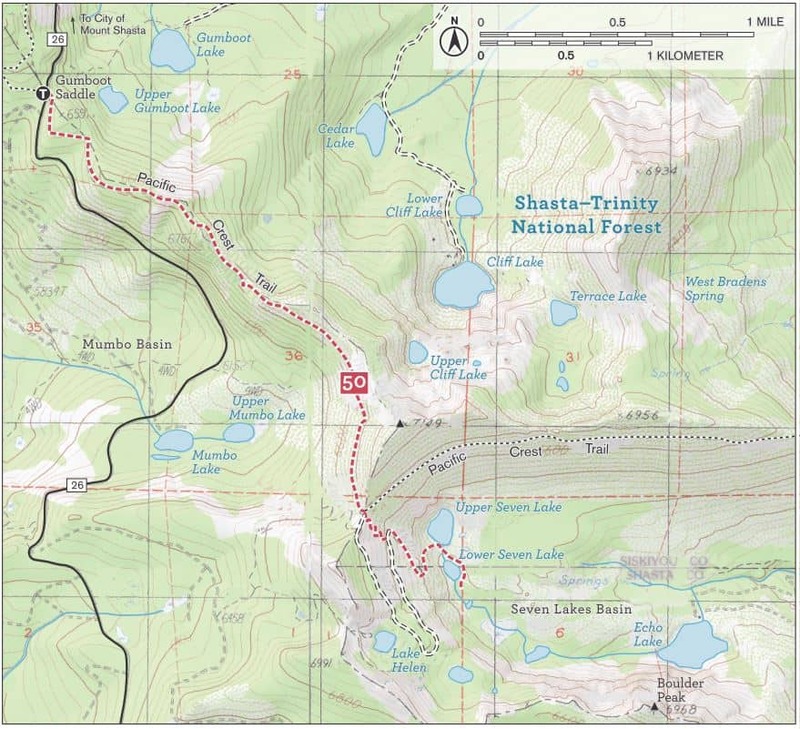 To reach the trailhead, take the Central Mount Shasta exit from Interstate 5. Cross the freeway and go west and south on South Old Stage Road and W. A. Barr Road. Arc around Lake Siskiyou as the way becomes Forest Road 26. Follow this paved road to Gumboot Saddle, 18.3 miles from the freeway and 2.5 miles beyond Gumboot Lake and its campground. Begin on the saddle’s south side and head south on one of the most beautiful Pacific Crest Trail sections in Northern California (hikers and equestrians only). 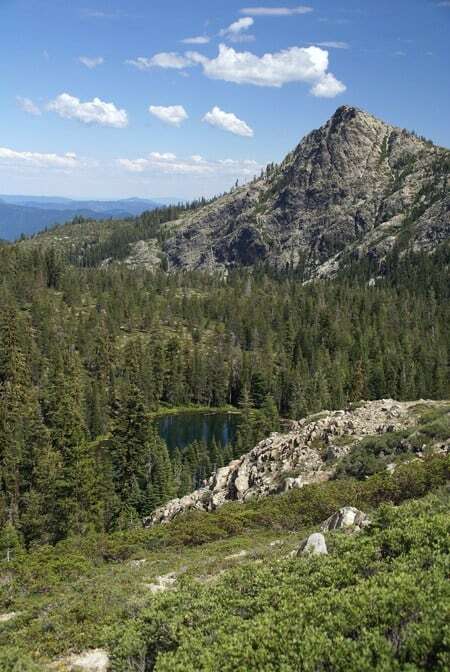 You quickly reach an open area with an unimpeded vista of the jagged spires of the Trinity Alps to the west, with forested mountains filling in the northerly and southerly views. Travel south, undulating gently along the spine of the ridge, occasionally shaded by a Jeffrey pine, western white pine, red fir, or white fir. Note the various flowers, including blue lupines and yellow sulfur flowers. The first decent campsite appears on the left at 0.3 mile, followed by the inaugural view of Mount Shasta, with Mount Eddy and Gumboot Lake coming shortly thereafter. A westward glance shows Mumbo Lake and Mumbo Basin just below. A trail fork on a saddle awaits at 2.4 miles and adds new peaks to your day’s checklist. To the near east the granite spires of Castle Crags dominate, with Seven Lakes Basin just below and Boulder Peak rising above Echo Lake. Far to the southeast are Lassen Peak, Magee Peak, and Burney Mountain. 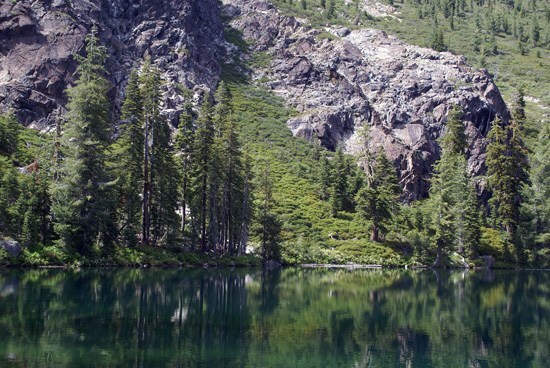 To quickly reach the Seven Lakes Basin, ignore signs and go 30 feet farther on the Pacific Crest Trail. A faint and unmarked path drops down on the right, soon intersecting a four-wheel-drive road that you follow down to Upper Seven Lake, a total 0.5 mile distance. The lake’s waters invite you to swim, but two campsites by the water are too close, so explore farther from shore for a level spot. Lower Seven Lake lies 100 yards to the south but has no campsites. You can hike cross-country to explore the basin. The actual trail fades as it runs east toward Echo Lake. Do not attempt to visit this lake: It’s privately owned, and the owner is notoriously cranky and very hostile to visitors. ‘Bout the bear. I surprised it near a meadow while walking cross-country. It ran about a 100 feet away and stopped, so I pulled out my camera and took a few pics. Unfortunately this was the best shot. Why? For starters, I had a polarizing filter on my zoom lens, which meant I was shooting at 1/15 of a second. Also, the sun was directly behind the bear. I’ve been trying to get a decent picture of a bear for twenty years. I’ve seen ’em probably 20-30 times, but either I don’t have a camera or they split before I get my camera out. You do enough hiking that you will get that perfect bear shot one of these days! Thanks again for sharing this great hike. Dave, you have great bear shots. Plus your other photos are top-notch. 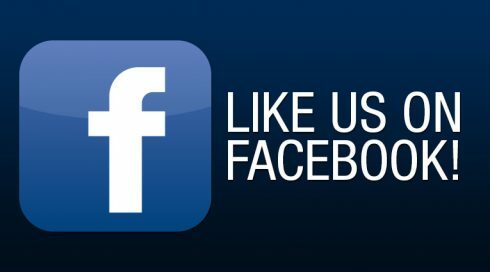 I encourage everyone to click on your link and check out your outdoor photography. A significant portion of the time I hike I have my camera hanging around my neck, ready to go. I’m sure everything will align someday for me to get a decent bear picture. Superb shots and great outing, John!!! Glad to see you made it up there after we talked about it awhile back. Thanks for sharing. I encourage anyone thinking about it to get out and do it. Yes, it is easy to navigate the ridges if you have good map reading skills, a compass and a good map. Be aware of Thunderstorms, as you are exposed along the tops of those ridges. Beautiful shots, a nice representation of the area. Ann and Gambolin’ Man, thanks for the compliments — I appreciate it. 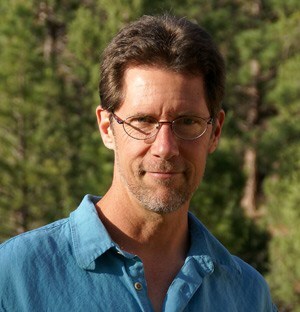 Ann, I’ve done a couple more outings in the Trinity Divide since Seven Lakes Basin. I’ll try to blog about those soon. Wow, congrats on the bear! Outside of a national park, I’ve been close, but have never actually seen one. 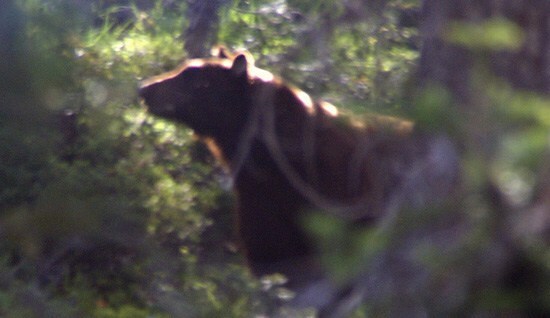 When I lived near Klamath north of Arcata, bears were frequent visitors to my property. One crashed down my fence to get at my apple trees. I went within about 10 feet of it to grab my golden retriever Hana. She smelled it, but she didn’t see it for some reason. Have you hiked and blogged about the Upper McCloud River Trail? It consists of about 14 miles (one way) if you start from Lower Falls and hike all the way to Algoma campground. It has many awesome swimming holes along the way, if you can tolerate the nice, COLD water. It is mostly shaded, so it is an awesome summer hike. Bring your mosquito repellant this time of year. Ann, I’ve only done a small portion of that trail. It’s definitely on my list, though, and I know other people who rave about it. Thanks for the hike idea. My wife and I just tried it this weekend and it was totally worth it. It was our first introduction to the Shasta-Trinity area in fact. We had Upper Seven Lake completely to ourselves from Friday through to Saturday evening, when another pair showed up. We actually couldn’t believe we had the place to ourselves for two days. Nothing better than reading, swimming, and lounging in such a setting. Since your July trip, there appears to be another campsite on Upper Seven Lake (total 3) and one down on Lower Seven Lake (total 1). They appeared to be relatively undeveloped (smaller fire rings and less obvious tent areas), so either they’re new or the result of a large group visiting the area in the last two months. 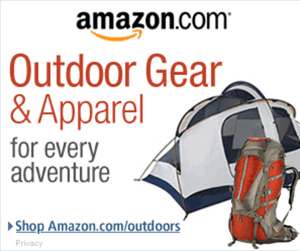 They may in fact be impromptu campsites. I’d caution people against the shortcut from the saddle if they’re late (the sun was behind the ridge at 5:15 this time of year) or not completely confident in their foot placements and ankle stability. We tried it and it was more trouble than it was worth (for us at least, plus a bee sting to boot!). We hiked out along the road and it took about an hour from camp to the saddle (going up). It was worth it though because you get views of Echo Lake and the smaller, unnamed lakes in the Seven Lakes Basin, which we didn’t see from the shortcut on Friday. Next time, we’ll bring our fishing gear; Upper Seven Lake was absolutely jumping with fish, all day long. Sorry, no bears, but we were watchful. Thanks again for the hike description; it provided a good idea for our introduction to the Shasta-Trinity National Forest. Kyle, I’m glad you and your wife had such a good time. I really love Seven Lakes Basin. As you saw, hardly anybody goes there, and Upper Seven Lake is such a gem. You are right about the trail down from the saddle: it’s steep and rough. I’ve done the road before, but not in many years. Next time I’ll take it so I can see Echo Lake again. I haven’t seen you in a long time, but enjoy reading about your outings. 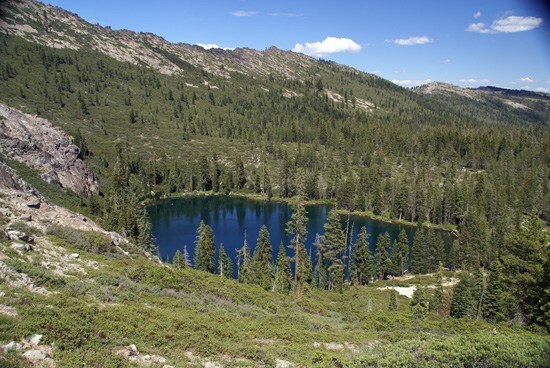 I’ll hiking the Seven Lakes Basin tomorrow; I look forward to seeing the scenery. I hope to see you again sometime. Susan, it’s good to hear from you. Weather’s a bit iffy — I hope Seven Lakes Basin works out. Susan, sounds like you had a good time, and it’s always good to bring the dogs, as long as they’re in good enough shape. The Mount Shasta Trail Association does 1-2 group hikes a month, and the Siskiyou Wanderers hike every Thursday.